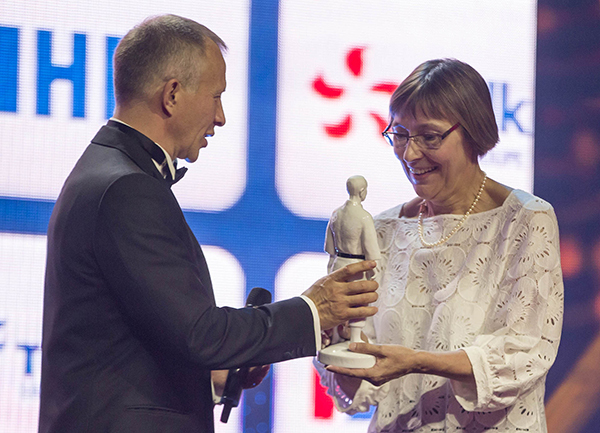 The Croatian Judo Federation has won the award for the Best Development of a National Federation in the world at the International Judo Federation’s 65th Anniversary Gala event held in Budapest last night. Croatian Judo Federation President Dr. Sanda Corak accepted the award from European Judo Union President Mr. Sergey Soloveychik. “This is a great honour to receive this award. For us 10 years ago it seemed impossible but we shared the same vision, team work, and had the strong support of the judo community. Thank you to IJF President Mr. Marius Vizer for always believing and supporting us and also thank you to EJU President Mr. Soloveychik and thank you to the judo family and friend”, Corak said. Judo legends and Olympic champions were among those also recognised at the Hungarian State Opera House on the eve of the 2017 Suzuki World Judo Championships. Croatia has produced a number of medal winners at World and European championships in recent times, including World Champion Brigita Matić in the U-78kg division. Croatia has five judo fighters inside the world’s top 50 in various divisions.